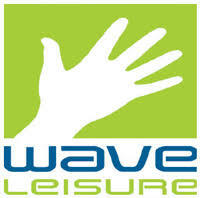 This week began with one of our teams at the new Downs Leisure Centre Gym in Sutton Road Seaford connecting the gym equipment to a TV aerial which had been initially planned by another company who let Wave Leisure down at the last minute. We were contacted the day before the new Gym was due to open and within 24 hours we arrived on site to carry out an initial survey, and three working days later we were at work fixing the problem. The week has ended with us installing a hearing loop in a major teaching space at a School within the University of Sussex. This is in preparation for the main installation of a new AV system in early September once the carpet is down and the decorations are completed. In the middle of the week we had a team at a Primary School just outside Hastings installing an AV system for them in preparation for the start of Term. To cap it all three of our engineers, plus Peter our Managing Director (who is also an engineer!) were on holiday. Next week will no doubt be just as much fun!